Funny thing about dogs and what your expectations are. We have several dogs. My wife has a little scrappy Maltese mix mut thing and I have a nice Portuguese water dog. OK, they are the families dogs… but we identify with each dog differently, and well so do they… The thing is, I am not secure enough with my manhood to be seen in public with the Maltese. I suppose I need to be more supportive of her needs. 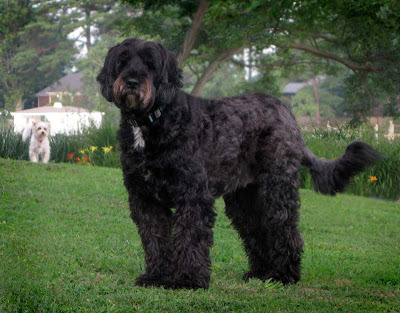 She is what she is… The odd thing is that the Portuguese water dog is scared of the water! What the? He wants nothing to do with it or the boat. Dang! He is perfect for the boat…except for those claws… No scratch marks on the varnish I suppose is a good thing. Now, the little one. Loves the water, loves the boat and is fearless, no scratching. Jumps on the towel and has very soft little paws. My wife also enjoys the ride better with her, and has made a point of making this dog the first mate. Hat and all…I am coming around to the idea. She is so happy and joy full when she is on the boat. I suppose in a strange way she is helping me expand my horizons and thus securing more of my man hood. So here’s to Ruby. Woody Boaters First mate. Dang! Philipeeing Mahogany Toilet Seat Lid On Ebay! Woody Boater Approved! Enjoyed your post! We have 2 PWD’s because my husband thought they were sturdy enough dogs, (even though a bit too “poodley”), to be seen with. But ours love the water so I feel for you! 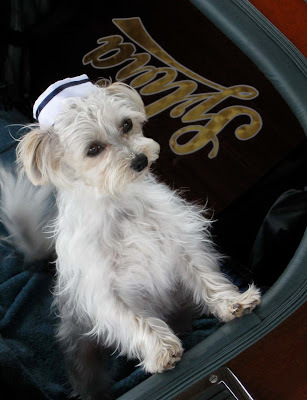 Your little first mate is adorable though. HA, we had three PWD’s there this weekend. ALL of them afraid of the water! They are all from the same father. Different Moms…mmmmmm It was a hoot. 7 dogs in total at the house and only the water dogs stayed away from the water… the rest an assortment of genetic stew.. I will say though, the PWD’s are the sweetest dogs on the planet earth and full of joy and love.